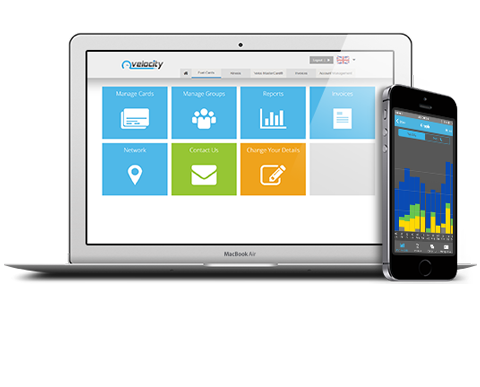 Our online account management tool, Velocity, comes standard to all fuelplus customers. It makes managing multiple fuel cards easy by giving you the tools you need to run your fleet efficiently whether from a desktop or using our Smartphone apps on iOS or Android. 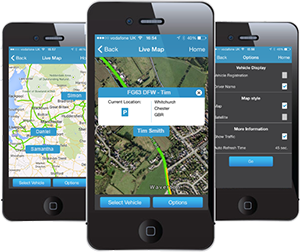 Customers using fuelplus vehicle tracking can also access their telematics data through Velocity, so that all fleet activity is in one, easy to access location. Even with multiple fuel cards, keeping on top of fuel spend is easy. All transactions are listed on a single invoice reducing administration and eliminating the need to gather fuel receipts. Our invoices are also approved as a method of VAT reclaim, which means you’ll be able to reclaim the full amount of VAT on fuel purchases without issue. If you need more detail, our transaction reports can provide it. You’ll be able to see purchases grouped by driver, vehicle or card all at the click of a button. With our comprehensive reporting you’ll have complete control of fuel spend and with the ability to manage multiple fuel cards at your fingertips. Download or view reports in a choice of formats including summary reports, Excel and csv files or usage graphs. You can run your own transaction reports for any combination of cards or card groups using your own date ranges or our popular pre-set options. Our unique map view lets you see all of your transactions by location giving you a complete picture of where your drivers fill up. Fuel accounts for a vast proportion of running costs in most businesses, which is why it is important to be able to monitor the way fuel is used both by individual drivers, and the fleet as a whole. Velocity’s straightforward fuel efficiency reports calculate the MPG or km/L of each of your vehicles making it easy to pinpoint vehicle inefficiency and challenge drivers who may need training in more effective driving practices. Velocity allows you to stop lost or stolen cards online at any time, day or night, from your desktop or even from the smartphone app. Our 24/7 service significantly reduces your risk of becoming a victim of loss through fuel card theft. Velocity is set up to work seamlessly with fuelplus vehicle tracking, so that you can start monitoring vehicle and driver data as soon as your telematics box is installed. When combined with a fuelplus fuel card, Velocity will provide you with a comprehensive view of your fleet, which means maximum control. It will also provide the most accurate fuel efficiency reading available on the market. 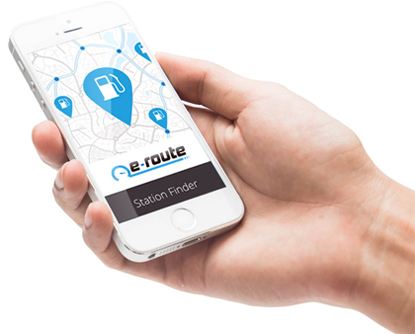 Users of our fuel cards have unlimited access to our site locator, e-route, which makes finding convenient refuelling stations quick and easy. Using e-route will also deliver long-term savings by helping your drivers find convenient refuelling stations quickly, avoiding inefficient route deviation. Simply search for sites along your planned route or around a specific location and download the results in Excel or PDF to take with you. SatNav downloads are also available for TomTom, Garmin and Navman devices. Block 2, Galway Financial Services Centre.